Don't know what's under ground? Why take a chance with traditional digging and pay thousands of dollars for repairs. 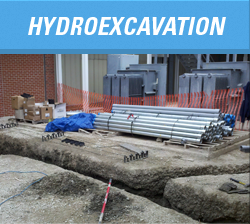 With hydroexcavation we can excavate an area without ever actually digging. Hydroexcavation uses high pressure water and suction to excavate an area and expose any underground utilities without damaging them. We have the knowledge to ensure that no utilities are damaged. We provide high pressure jetting as well as as roto rootering. 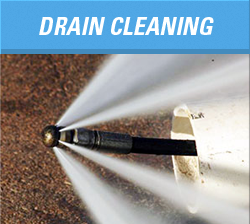 From residential drains to large scale commercial piping we can clean them all. We have cameras to view the condition of the pipes. Our specialized jetting nozzles can clear out debris and imperfections in pipe. If we see that the pipe needs to be replaced we can provide the customer with the best options including pipe relining. From pumping and cleaning to installation and repair we are your one-stop-shop for your septic system. Al Price Septic Service has the latest technology and expertise to keep your system up-to-date and functional. 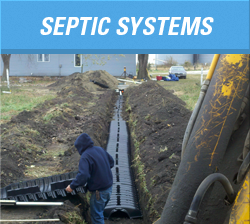 We pump existing systems, clean drain lines, repair, and install septic systems and leech beds. If you're selling your house, call us and we can do the time of transfer inspection. 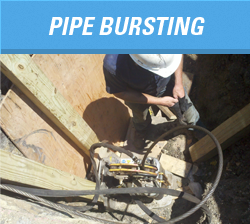 Pipe Bursting is a relatively new and rare service in the area. Very few contractors have explored this new method of pipe replacement. With Pipe Bursting we are able to replace the existing septic lines with brand new pipe without having to dig up your driveway. One hole at the start of the pipe and another at the end, from there we simply pull the new pipe through the old pipe, busting it out.